I always thought of BS (ha!) as an old person's food. Why? I don't know. Maybe because it's a form of cabbage and my grandparents always ate it? I knocked it before I tried it, and I shouldn't have. 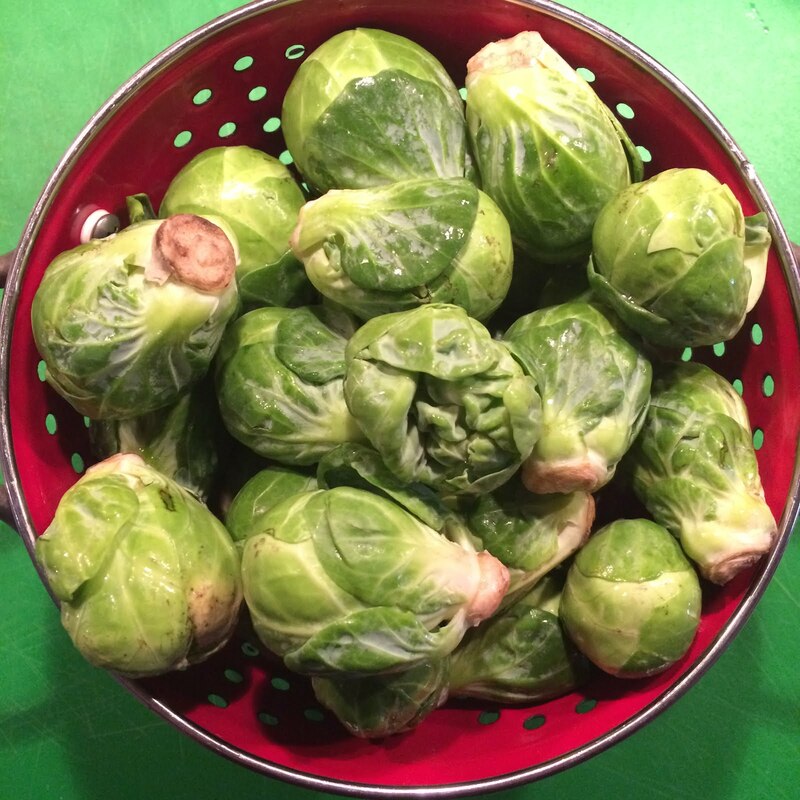 Before this week I had eaten brussels sprouts only a handful of times and had never tried making them myself. 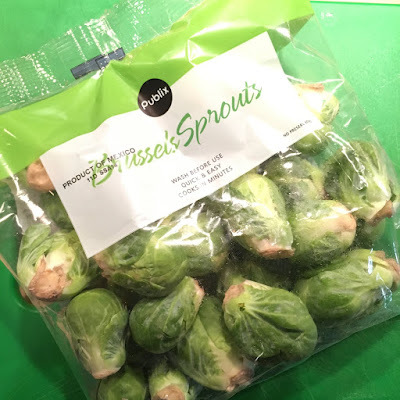 In an attempt to add a few new side dishes to our menu, I ventured out, bought a bag and simply just roasted these little nuggets to perfection...well, almost perfection. Next time I will take them out a minute or two sooner, but they were delish. Easy, yummy and nutritious? Yes, please. 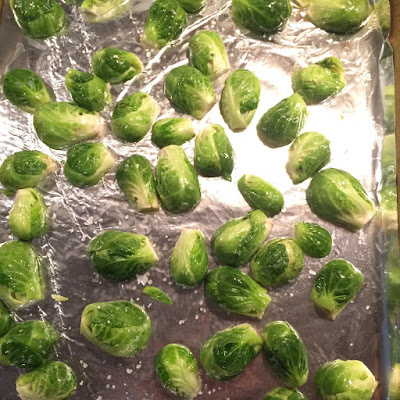 Line a baking sheet with foil and preheat oven to 400 F.
Place brussels sprouts on the baking sheet and drizzle with olive oil, salt and pepper and toss until evenly coated. 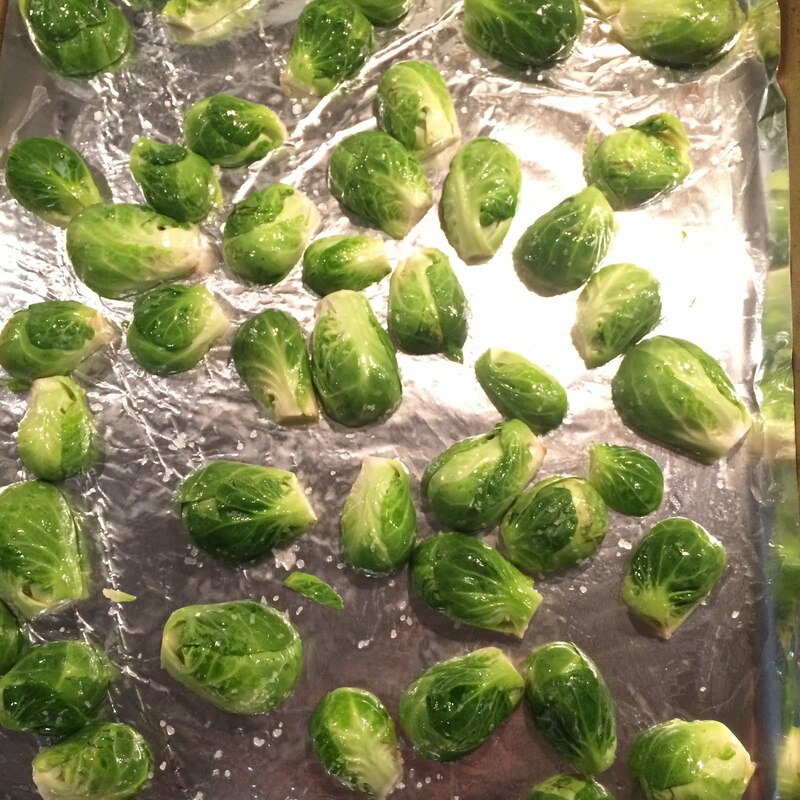 Place brussels cut side down - the flat side should be touching the foil - and bake for 16-18 minutes or until the tops start to turn light brown in color. 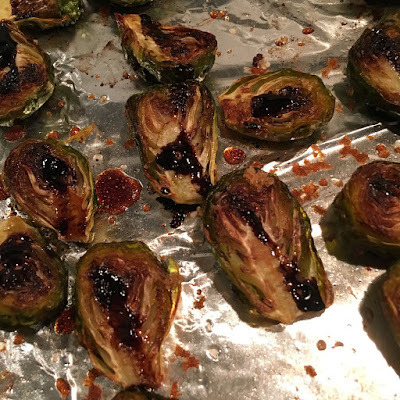 Flip sprouts over with tongs and drizzle the tops of the sprouts with the balsamic glaze. Return to the oven and bake for an additional 10 minutes. Serve warm and enjoy! 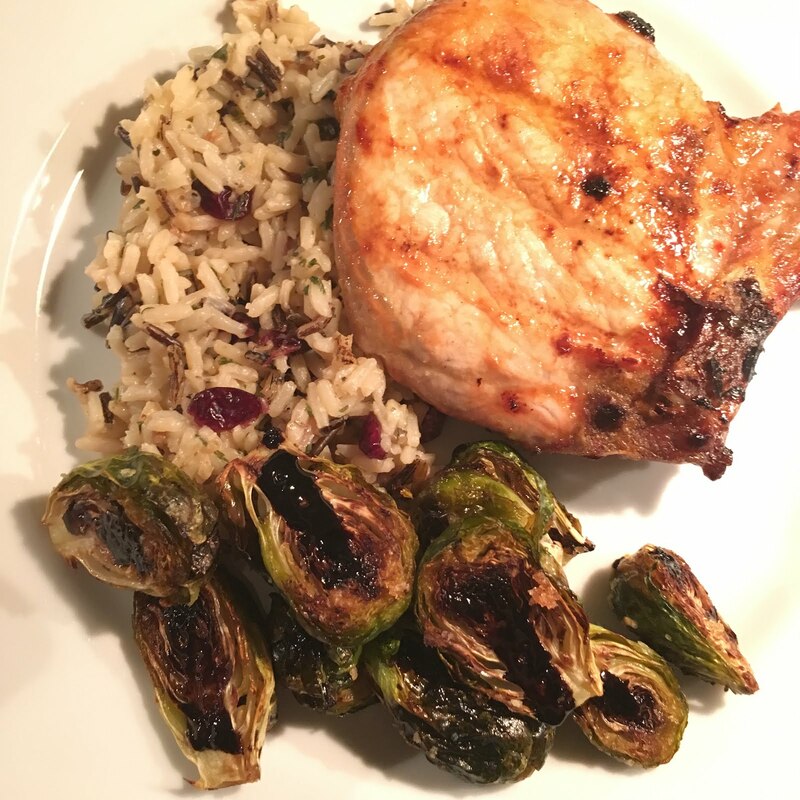 We served ours with grilled pork chops basted in mustard BBQ sauce and wild rice with cranberries and walnuts. Soooo yummy!